IB Dramatic Arts is kicking off its first year of theater production. 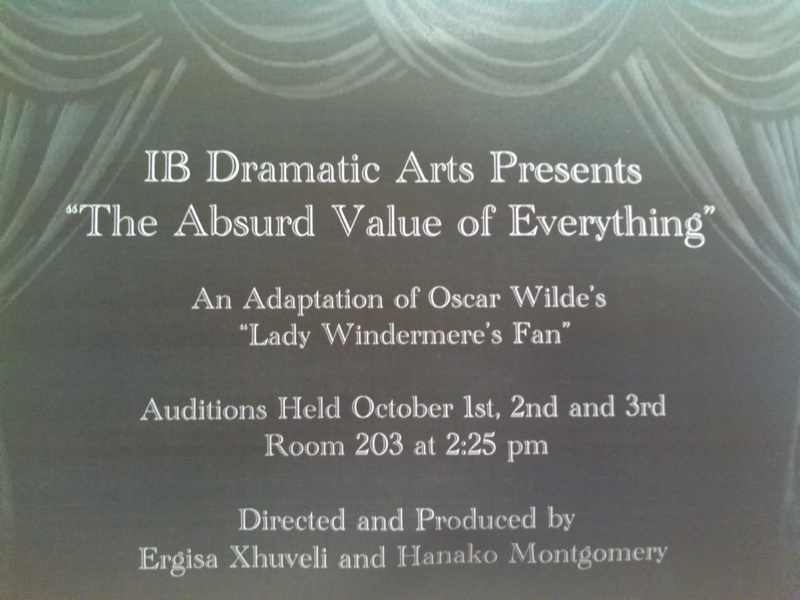 The group, founded last spring by Ergisa Xhuveli ‘16 and Hanako Montgomery ‘16, is organizing “The Absurd Value of Everything,” an adaptation of Oscar Wilde’s play “Lady Windermere’s Fan.” Auditions were held after school on October 1st, 2nd and 3rd, and the two Juniors plan to begin rehearsals soon. The play is tentatively scheduled for May or June, at Arrow Community Center. IB Dramatic Arts (abbreviated as IB Drama or IBD) was founded by two juniors passionate about theater and the arts. “We both love theater, show tunes, dance, everything theatrical,” Ergisa explained. “We wanted to create this opportunity for BSGE students.” The two students have been running after-school theater sessions since last June, which encouraged participants to get more comfortable with performing in front of an audience and improvising. 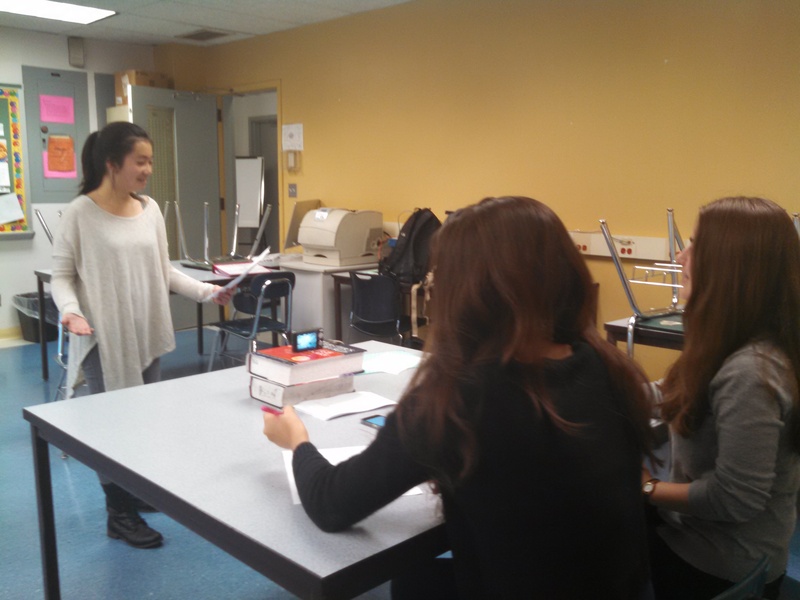 “We want it to be a student-run theater group, so students are able to contribute their ideas,” Hanako said. “Lady Windermere’s Fan,” a satirical drama set in Victorian society, centers around a woman who suspects that her husband is being unfaithful. A series of dramatic and surprising events unfold, with a large cast of characters and many comedic moments. The two juniors believe that the play is a good candidate for everyone to enjoy, although they modified the script slightly in several different ways to make it more modern. “The Victorian era language was too complex,” Hanako explained. Additionally, the BSGE production has been renamed “The Absurd Value of Everything” after a line in the play. Although founded and managed by Ergisa and Hanako, IB Drama is grateful for the help it has received from the BSGE faculty and the student community. 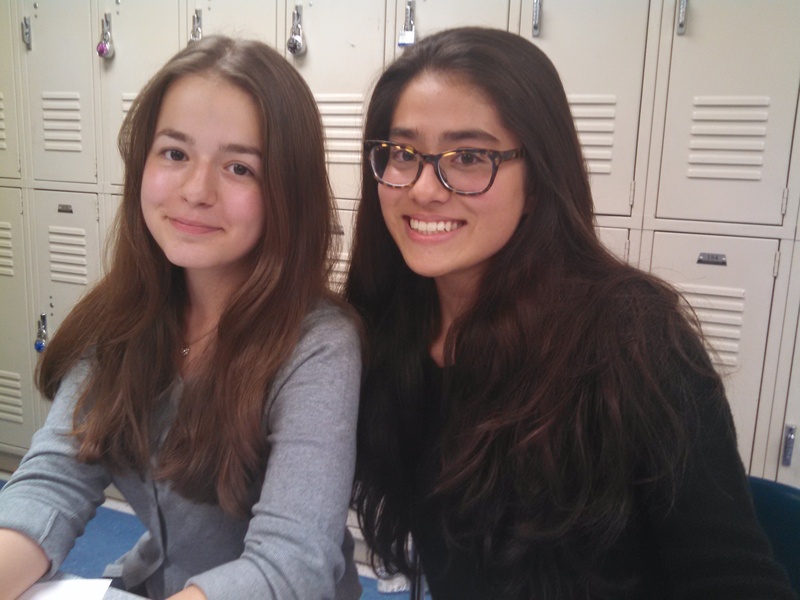 “Our supervisor, Ms. Clarkson-Farrell, knows a lot about theater,” Hanako said. Ms. Schwarz has offered to lend art studio space to the drama club for constructing sets and props. The club plans to raise money for costumes, but they would “love to have BSGE student artists help out with costumes and makeup,” says Ergisa. Participating in the production or helping with sets, costumes and makeup would count as Creativity and/or Service hours for CAS. The next steps for the theater club after auditions and casting are fundraising, constructing sets, buying costumes, and finally rehearsals. The club currently meets on Wednesdays during eighth period, but as the production approaches rehearsals will likely be two or three times a week. “We want it to be a serious production that we are all proud to be a part of,”the passionate Junior, Ergisa said. As for their other goals for this school year, the main one is “to have fun,” according to Hanako. “We want to make the entire school realize that theater is fun, but also something we take very seriously,” she added. Ergisa agreed.